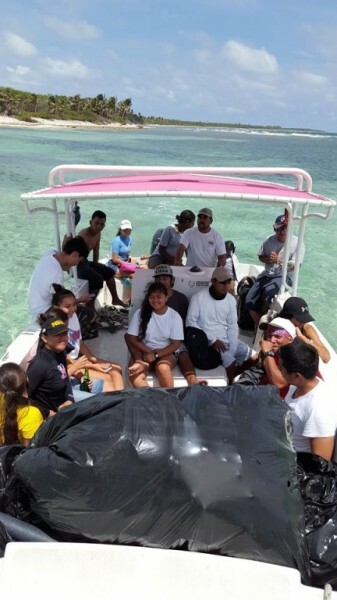 The Hol Chan Marine Reserve on Ambergris Caye joined the 2016 Coastal Clean Up campaign for the fourth time. The international clean-up movement was spearheaded in Belize by the Belize Scout Association, and while Hol Chan did a massive clean-up on the North Ambergris Caye beach, there are still a lot of reports of illegal dumping in that area. During the weekend of September 24th, students from San Pedro High School and San Pedro Junior College joined members of the Hol Chan Marine Reserve for a day of hard work. 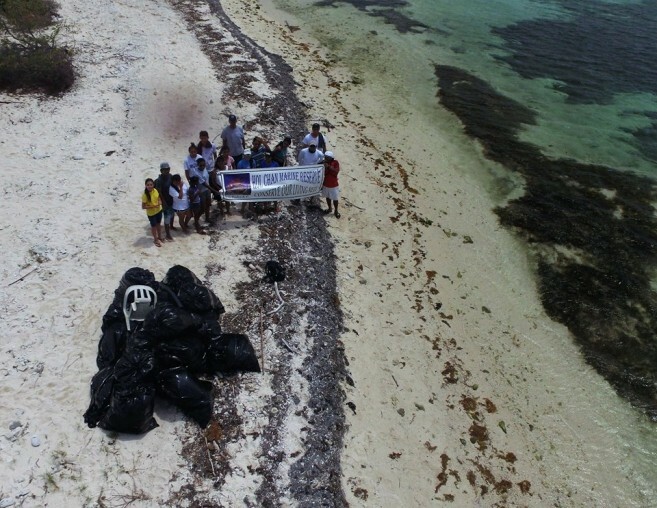 The clean-up activity took participants at the island’s northern point, known as Robles - a favorite spot for turtles during the nesting season. To track the success of the clean-up, everyone was provided with a ‘Volunteer’s Ocean Trash Form’ in which all the garbage picked up was categorized and recorded. According to personnel from Hol Chan, this form of recording is done to provide data on the amount of and types of garbage in our water bodies, as well as to compare to clean-up campaigns of previous years. The official statistics for 2015 reported that 16,948 pounds of garbage were collected from the coastal areas countrywide, which accumulated to 39 miles of coastal areas covered by volunteers. Hol Chan focused mainly on the beach due to their commitment to the marine ecosystem, particularly in the preservation of the nesting grounds. However, despite all the good news that most of the coastal areas are being cleaned, the garbage situation on Northern Ambergris continues to be an issue. 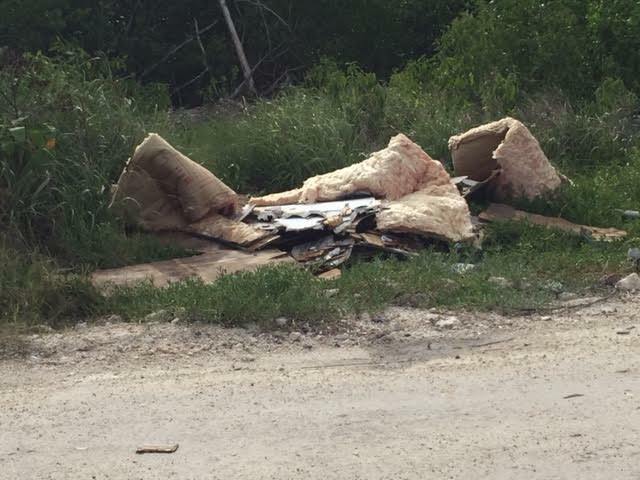 The repeated dumping of garbage on the route to Secret Beach and north of the former Journey’s End Resort area has been going unchecked for weeks. According to a resident near the area, the side of the road is being used as dumpsite. The culprits apparently drop their garbage during the night, when no one is there to see them. This is a major concern for residents of that area, since the eyesore could serve as a breeding ground for rodents who may be carriers of potential dangerous diseases, not to mention polluting the ground water. The San Pedro Town Council has responded to this alarming problem and Mayor Daniel Guerrero has assured that such garbage will be picked up. However, he admits that it is a problem that is becoming difficult but not impossible to overcome. “We pick up trash two to three times every week all the way to Las Terrazas Resort. We need to cut the roots of the problem and while we continue working hard to deal with the issue, we continue asking anyone that if they see the culprits dumping to get their information and report it to us right away,” said Guerrero. He mentioned that illegal dumping is a serious offense and anyone caught doing it will be dealt with according to the law. He applauds the activities done by the local organizations such as Hol Chan which aims to bring awareness to all the population to keep the island clean. He also emphasized unity among residents. “We need everyone to cooperate with us. 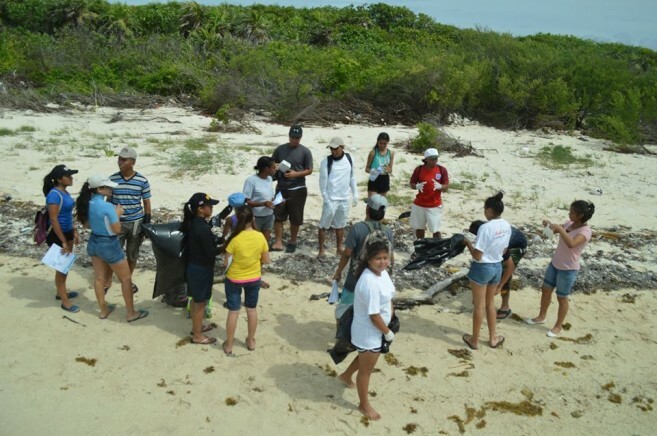 Trash is a big problem on the island, and just like how these other organizations are coming together to try and clean certain areas of the island, I would like to see us coming together and do the same,” said Guerrero. While the Mayor is aware of the unpleasant issue, he commits to a prompt resolution with the help of everyone. Also he once again calls on everyone to do their part and continue encouraging the clean-up campaigns that struggle to keep La Isla Bonita cleaner and prettier for residents and visitors alike. DFC Eco Rangers are on a mission: Keep San Pedro garbage-free! Editorial: Are you going to be the one who trashes our island?